At this year's tournament, Milos Raonic and Richard Gasquet are the only two players to reach the third round without losing serve, while Stan Wawrinka is one of only five players who have lost serve just once. But what about the guys who have returned the best so far? 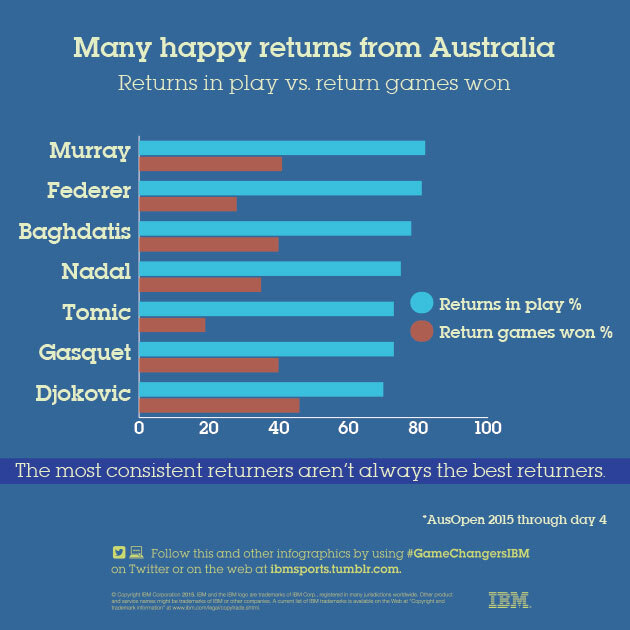 It’s noteworthy that the most consistent returners aren’t necessarily the best returners -- it all depends on the quality of the return and how the game is played afterwards. 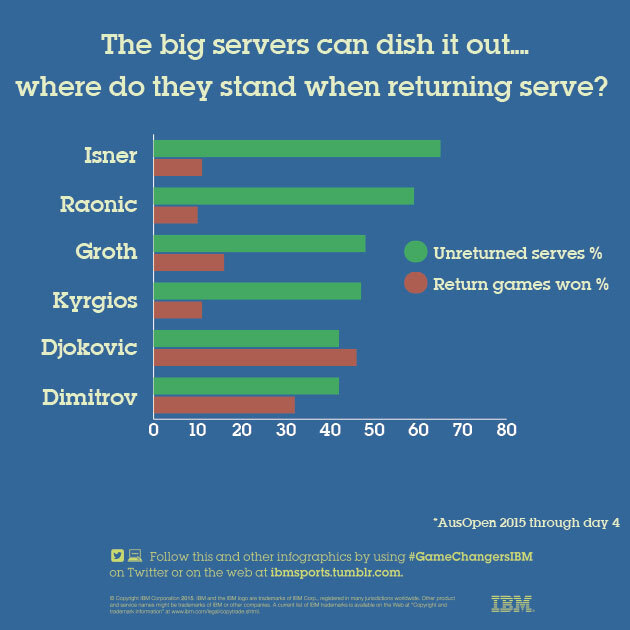 See the data on big servers and returners through Day 4 at the Australian Open.